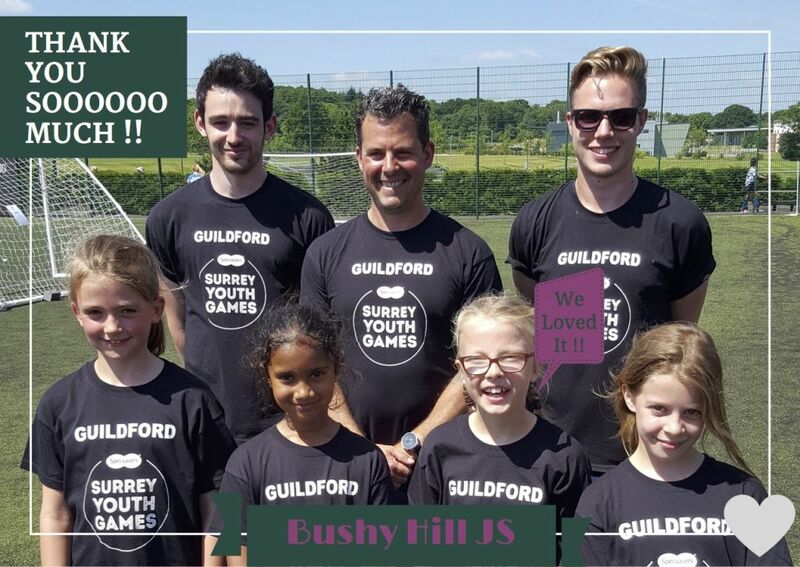 Our volunteers: Kevin, Charlie & James headed up the Girls football section for GBC during this years fantastic Surrey Youth Games programme, thanks also to Mike Horne and Asa Warner who were also involved in the programme. Six weeks of training took place prior to the games on Saturday 17th June, held at Surrey Sports park. An amazing day of girls footie attended by teams from various boroughs. GBC spokeswomen gave high praise to our volunteers: ” The feedback I had from parents relating to the quality of coaching and interpersonal skills you guys demonstrated towards both the girls and their parents was probably the best I have ever received- it was very much noted! This is a credit to you and your hard work”.